For a half of a century this property was a religious site. It was the home of a Cistercian Monastery. Although most of the buildings are still here the property is now owned by the Town of Cumberland. The site also includes the towns library and the oldest known veterans memorial in the United States. The memorial known as Nine Men’s Misery is the site where nine colonists were tortured to death by the Narragansett Indian tribe during the King Phillips War in 1676. They were later buried here by English soldiers and the memorial was built. The site is also sprawling with trails. Although there are several miles of trails here at the Monastery property, this hike is rather short and covers most of the highlights. Starting from the library parking lot, follow the loop road toward the Senior Center. Opposite the building is the gate and trail head to the red rectangle blazed trail that leads to Nine Men’s Misery. After stopping at the memorial continue on the trail named after the memorial until you come to the white triangle blazed trail that leads to a field. Merge to the left here. After going through part of the field start looking for a very narrow path to the right that cuts across the field to some large pieces of granite. Take this path into the woods. It is very narrow, beware of poison ivy and ticks. 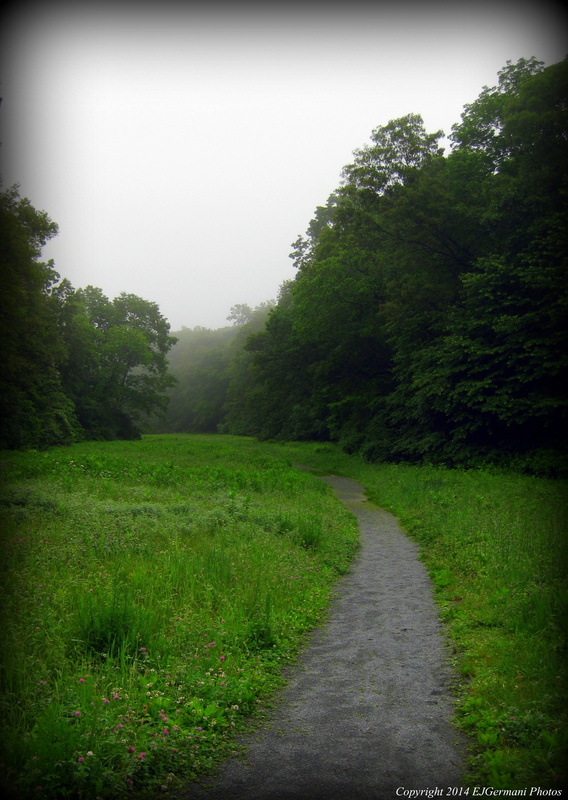 This trail soon come to the green rectangle blazed Monks Quarry Trail. Turn right to follow the green blazes to the quarry. Stop here for a bit to examine the quarry site. 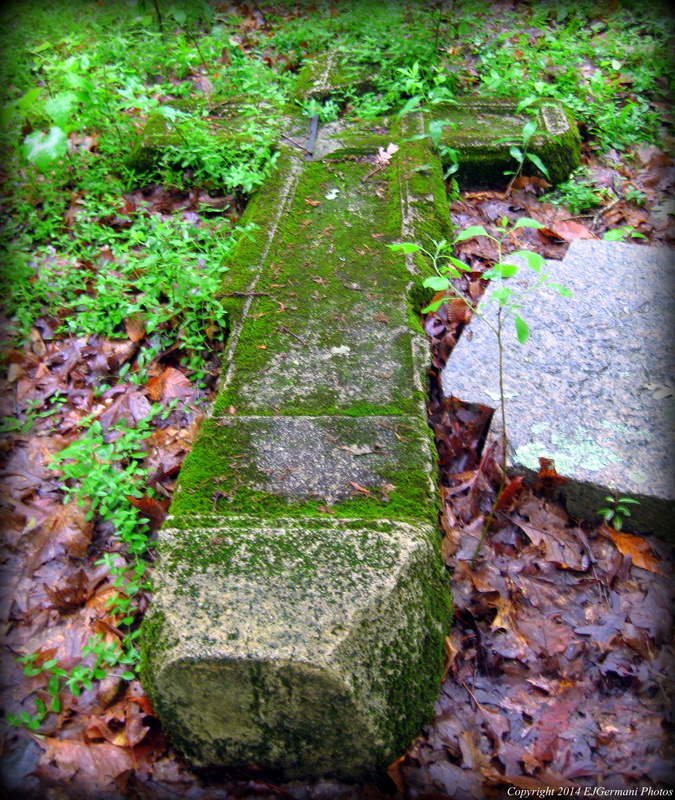 One of the more interesting pieces here is a large stone cross laying in the woods. Continue to follow the green blazes up a hill and along a ledge. Then turn left onto an orange dot blazed trail. This trail will lead you back down hill where you will turn right onto the green rectangle blazed trail heading in a southerly direction. The trail comes to a multiple trail intersection. Continue, for the most part, straight ahead until you see the yellow dot blazes to the left. Follow this trail along the edge of an irrigation pond until its end. The trail ahead is a white rectangle blaze. This is the Beauregard Loop Trail. Follow it another seven tenths of a mile back to the library. From here follow the road back to the parking lot. The entire property has recently been blazed and there is a great trail map available. Trail map can be found at: Monastery.